Leaving aside these ignorant statements about actual historical facts, what should be drawn from and discussed—and what is not being discussed in the media—is Trump’s vision of an America where unapologetic slaveholders are upheld and the Civil War to end slavery is seen as unfortunate and a war that could have been avoided. A vision of America where the genocide of the Native population for the purpose of opening up land for European settlers to farm and ranch, and the expansion of the American enterprise to the west, is exalted. 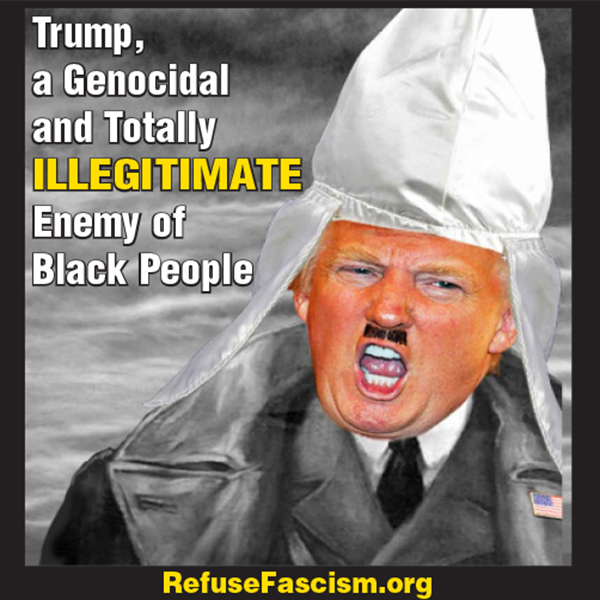 This comes from a president who has assembled a regime of racists and xenophobes who openly uphold America as the land for white people and declare their intention to impose this vision on a country undergoing vast demographic and ethnic changes. When their openly stated heroes are the architects of genocides past, one should seriously consider what this will mean for millions of people in their crosshairs now. It is dangerous, and an insult upon injury, for the New York Times and other liberal pundits to deceive people and claim Trump’s comment shows he has a “…tenuous grasp of the past,” that he is simply ignorant of U.S. history. Really?! It is these liberal mouthpieces who show a refusal to grasp, confront AND call out the Trump/Pence fascist regime. We are reposting an excerpt from “Andrew Jackson: A Racist Demagogue, Genocidal Indian Killer, Champion of Slavery.” It is time to drive out this regime before it’s too late for all of humanity. There would be no United States as we now know it today without slavery. That is a simple and basic truth. Andrew Jackson was president of the United States from 1829-1837. He was a populist hero to large sections of whites, especially in the South, promising them prosperity on the basis of the expansion of slavery, and he promised them land stolen from Native peoples. He appealed to the most backward, narrow, racist sentiments of whites. Jackson railed against “elites” in the North—sections of the established banking and political structure that he saw standing in the way of the rapid expansion of slavery. His presidency was a vehicle through which slavery expanded dramatically into lands from which Native peoples were expelled by the U.S. military, and subjected to genocidal “relocation” from the South to Oklahoma. Under Jackson's presidency, Native peoples were expelled by the U.S. military, and subjected to genocidal “relocation” from the South to Oklahoma as illustrated on this map. In the winter of 1831, the Choctaw were force-marched from Mississippi, Florida, Alabama, and Louisiana to reservations in Oklahoma, some bound in chains and marched double file. Thousands died along the way on this "trail of tears." Once in office, Jackson championed and carried out brutal crimes against Native peoples. White settlers, some of whom were already settling illegally on Native lands, pressured the federal government to remove Indians from the Southeast to make their lands available. Some 125,000 Native peoples lived on those lands that had been guaranteed to them through treaties. Jackson was able to gain Congressional passage of the Indian Removal Act of 1830, which authorized the government to extinguish Indian title to lands in the Southeast. This genocidal crime was the model for additional ethnic cleansing to open up new territory for slave production of cotton. The Creeks were driven from Georgia, Alabama, and Florida in 1834. 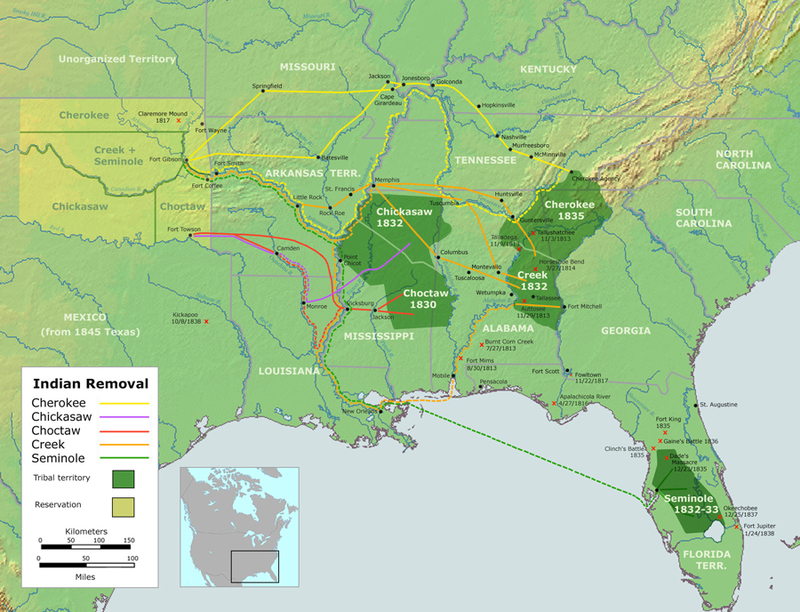 The Chickasaw were driven out of Mississippi, Kentucky, Alabama, and Tennessee in 1836. And lastly, in the infamous “Trail of Tears,” the Cherokee were force-marched from Georgia to Oklahoma in 1838. 4,000 Cherokee people died of cold, hunger, and disease on the way. Jackson famously tried to justify this with philosophical babble proclaiming, “But true philanthropy reconciles the mind to these vicissitudes as it does to the extinction of one generation to make room for another.” In other words, even though it might seem immoral to kill off the Native peoples, these supposedly “lesser” people must die so others could prosper. The removal of Native peoples from their southeastern lands served a dramatic expansion and intensification of slavery. The “whipping machine” was both a literal machine that whipped Black slaves to force them to pick more and more cotton, and also a metaphor for the unceasing and inhuman torture inflicted every hour, every day, under slavery. In The Half Has Never Been Told: Slavery and the Making of American Capitalism, Edward Baptist writes that in the eight years following Jackson's election, “U.S. government, the states, banks, private citizens, and foreign entities had collectively invested about $400 million, or one-third of the value of all U.S. economic activity in 1830 into expanding production on slavery’s frontier. This includes the price of 250,000 slaves moved, 48 million new acres of public land sold, the costs of Indian removals and wars, and the massive expansion of southwestern financial infrastructure. 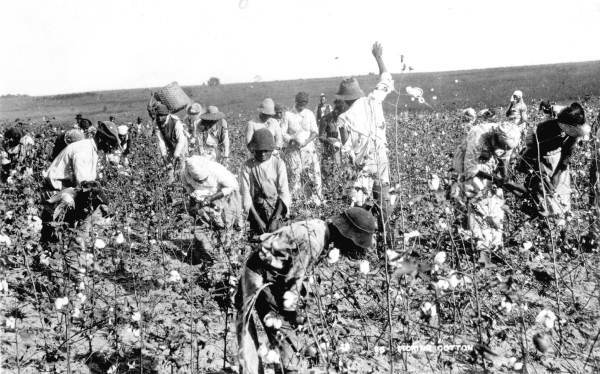 The number of hands on cotton plantations expanded dramatically, and the need to repay loans only accelerated the whipping-machine, collectively forcing the total picking that hands could accomplish just a little higher each day." 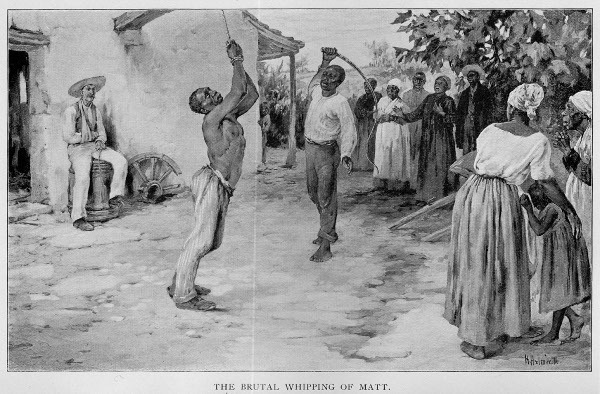 As Baptist recounts in his book, the “whipping machine” was both a literal machine that whipped Black slaves to force them to pick more and more cotton, and also a metaphor for the unceasing and inhuman torture inflicted every hour, every day, under slavery. Andrew Jackson’s presidency marked a massive expansion of slavery, made possible through massive violent ethnic cleansing of Native peoples. And this was accomplished along with and through the most extreme racist populism—appealing to and mobilizing large numbers of dispossessed white men by appealing to their basest and most narrow interests. The fact that people like Rudolph Giuliani, from their own fascist perch, and Trump himself celebrate the legacy of Andrew Jackson foreshadows the kinds of hellish transformations a Trump-Pence regime would mean in the nature of U.S. society. That cannot be allowed to happen.